Not just how they look but the magical feeling of all the family gathering around the tree decorating. Even our memories play games and make us remember how wonderful it was to decorate the tree all together. 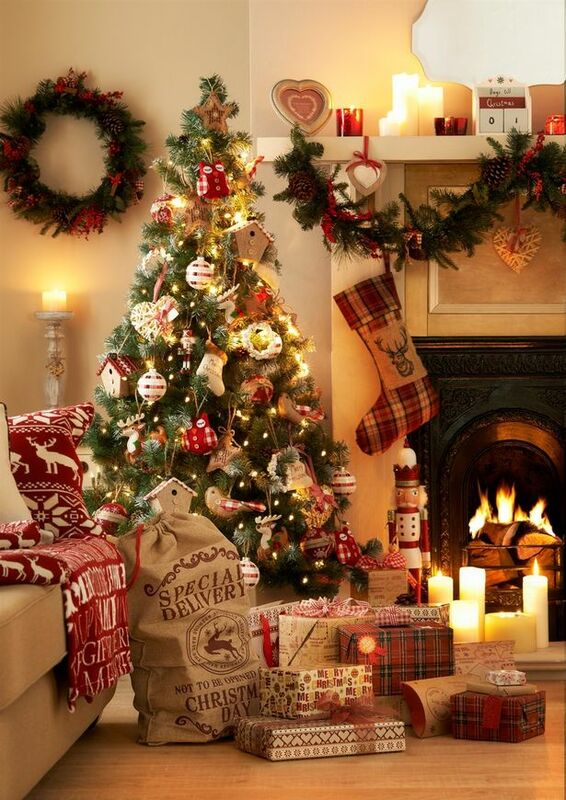 To stand back, turn off the ceiling lights and see the beauty of Christmas come alive in front of our eyes. In truth, who’s home is really like that? My memories are of my step dad, loosing his cool when lights that worked perfectly before they went on the tree, didn’t work as soon as they clung to the branches. Mum would be secretly pulling her hair out as we demanded to have our toilet roll Santa in full sight. How we would all bicker about who’s turn it was to put the star on top of the tree. It was far from how we all imagined it would be and somehow the tree would look picture perfect the next morning after Mum had redecorated it while we slept soundly in our beds. Now I’m the Mum who dreams of the perfect tree, the best beautiful memories for my little girl. Yesterday we decided to put up a tree, Marly-Kate, Rich and I went shopping for the perfect tree which couldn’t be larger than 5ft. It was hammering with rain and we were as soggy as the field full of trees. Marly-Kate picked the tree and all thoughts of size flow out the window. Rich straps it to the roof of his van and home we drive. Marly-Kate busting with excitement. Well it all went horribly wrong from there. The tree filled most of our lounge and was leaving puddles of water all over the floor. Axe in hand, Rich goes about cutting branches off, trimming her down to size. Finally she’s small enough for her position and it’s time to put on those lights that I had spent an age untangling. Lights are on and finally looking as pretty as they will ever look. That’s when the laughter escaped as the lights went blank, never to work again. Now the movies don’t do our tree decorating justice. As I finally sat down last night with a huge mug of hot chocolate with all the trimmings, Rich and I laughed and laughed at the tree with no lights and the branches that are already turning brown and leaving a nice pile of pines under the tree. Maybe our tree is far from perfect but the memories truly are perfection. This entry was posted in Family, Friendship, Marly-Kate, Memories and tagged Christmas, family, friends, memories, Movies, O Christmas tree, tree. Bookmark the permalink.